Here at ParkVia we understand how difficult it is to find parking near the biggest ports on the Iberian Peninsula as well as the expense of having to pay to leave your car at the port. ParkVia offers you a choice of low cost options to book your Malaga Port Parking. The car parks listed are registered and are covered by public liability insurance so you can set off on your voyage with peace of mind knowing that your vehicle is in the safe hands of professionals. If you wish to see more details about the services offered by each operator for your Malaga Port Parking just click on the link for each car park operator. To obtain a free, no obligation quote simply enter the dates and times you wish to use the car park. 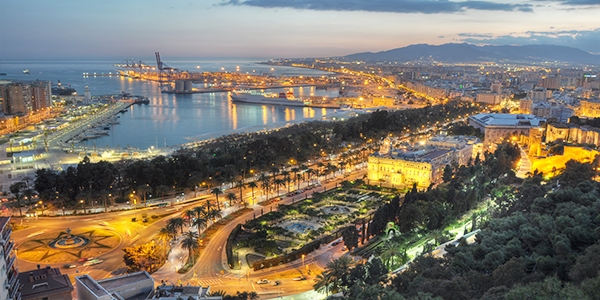 Malaga Port is an international port located in Malaga, on the Costa del Sol. It is one if the oldest port in the Mediterranean. Malaga Port covers a marine area of 7,095 Ha and ground surface area of 1.150.884 m2. It is a predominantly a port for importing, but which also transports vehicles and passengers by regular connections to Ceuta and Melilla.